Are your clients haunted by the thought of creating hundreds of blog posts? Do they worry about running out of ideas for new content to post on their websites? If you're like most business people, you understand the importance of creating excellent content to attract web traffic. However, the truth is that coming up with fresh website content day in and day out is challenging. The good news is that content development doesn't require reinventing the wheel. Sometimes it just means reimagining the content. Recreating or recycling content isn't a new concept, and it's an effective way for your clients to get more mileage out of existing content. Here are four ideas for reusing marketing content in innovative and fun ways to capture the interest of online users, gain more website traffic, and give your clients a break from the hard work of content creation. Many people automatically think of web content as blog posts, articles, and other forms of written material, but increasingly, online marketers and content creators can get their message across using audio and visual content. 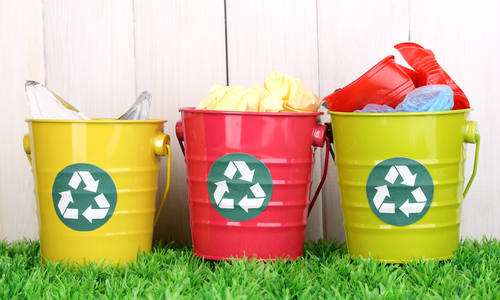 Repurposing written content in other forms is one way to reuse existing content. Think of a recent blog post containing statistics, data and research findings. Make it into an infographic. Do you have a PowerPoint presentation on your laptop? Reuse the presentation by sharing it online via sites such as Slideshare, Scribd, Flickr, YouTube, or even Pinterest. Not everyone wants to read a blog post or article. They would rather listen. Choose your top five posts and use a site like audioboo.fm to convert them into audio presentations your audience can listen to instead. Whichever audio or visual method you choose to repurpose your content, don't forget to include a link back to your website and original blog post. After all, you want that content working to drive traffic back to your site. Some services, such as Slideshare, include features that allow you to upload your slide presentation to social media or professional networking sites such as Facebook and LinkedIn, gaining an even wider audience for your repurposed content. Sometimes the answer to recycling web content is simply to reformat it. Repackage a series of blog posts or newsletter articles as white papers or reports. Consider using it as a free downloadable "gift" for new subscribers who sign up for your email marketing program. Divide white papers into a series of blog posts or newsletters. Combine white papers or blog posts into short ebooks. Transcribe your company training videos or teleseminars to post as how-to articles or tutorials on your website. If you have answered a question in the comments section of your blog, via an email, or even in the discussion section of a forum, rewrite it as a whole new blog post or tutorial, either on your own site or as a guest post elsewhere. Take a look at your web content from previous years. Look for posts that can be updated with new statistics, developments, best practices, or information on the latest tools? Doing so keeps your site current without write entirely new pieces. At the same time, look for opportunities to expand previous blog posts. Start with list blogs, and use each item as a starting point for a new piece. For example, this piece is about the benefits of reusing marketing content. It could be revisited and updated next year with new information. Each section could also be expanded into a detailed blog post or repackaged as a how-to checklist. One piece of content can be useful and compelling for several different target audiences. Use your storytelling skills to reformat a formal professional case study as an informal blog post or interview-style news article, telling the story of how you helped a client solve a problem. Rewriting content like this is a good choice for guest blogging on sites that have a slightly different following, and can widen your own audience. In the race to produce great online content, many of us forget about our print marketing content! Take a look at your brochures and print ad campaigns. Can you repurpose your offline marketing content as online marketing content? Consider using the content of product catalogues and policy and procedure manuals as the basis for your online content. Once you take a critical look at your existing content, you'll be surprised at the amount of mileage you can get by repurposing, reformatting and rewriting your existing work.